Asphalt Coating Technologies is a division of Green Acres Lawn Care & Landscaping Group and offers sealcoating, striping, crack repair and patching services for asphalt driveways and parking lots in the Belvidere, Cherry Valley, Dekalb, Genoa, Loves Park, Machesney Park, Marengo, Poplar Grove, Rockford, Rockton, Roscoe, and the Sycamore Illinois area. 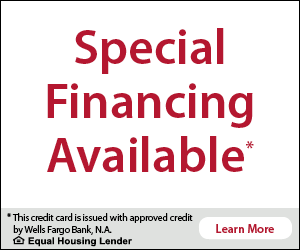 Give us a call today at 815-978-5314 to request a free quote or to schedule service. Asphalt Coating Technologies is the preeminent professional of the asphalt maintenance industry by consistently providing high quality customer service and workmanship. Act works continually to improve the quality of its methods and materials thus adding value for its clients through technological innovation. It is ACT's belief that honesty and integrity, along with complete customer satisfaction ensures repeat and referral business for years to come. First, our maintenance crew flags and barricades any areas that need to be blocked off as they pull up to the job. Second, we trim the grass edges of the blacktop clearing them to completely seal all pavement surfaces. Third, we use industrial blowers and steel bristled brooms to get the surface completely clear of all debris. This is done to ensure superior adhesion of the sealer to the blacktop surface. Fourth, we treat any oil spots with IMPERIAL oil spot primer. This is done to make certain that the sealer will bond to these areas and protect the asphalt from further damage. Fifth, we perform an appropriate crack repair. Finally, we apply our custom blended GemSeal® sealer with TARMAX additive and silica sand. We use the highest quality commercial grade sealer on the market today: GemSeal®, with TARMAX R-100 latex modifier additive. This combination creates a tough protective skin over the asphalt that can double the life of your asphalt when applied with a scheduled maintenance program, about every 2 or 3 years depending upon traffic. GemSeal® is a 100% coal tar emulsion pavement sealer that resists oxidation from the sun, rain, snow, gas, oils, salt, etc. Sealer Application Process: We provide the best workmanship possible by applying the sealer to your asphalt by hand, using specialized 3 and 4-foot professional sealcoat brushes. This process is far superior to the spray-on techniques used by many other companies. We use the highest quality crack repair method possible. We will assess the cracks and clean the area with a wire brush or broom to ensure proper cleanliness for the utmost adhesion. Under special circumstances and depending on the severity of the cracks, we will route out all cracks between 1/8″ – 3/8”. The crack is routed out to ½” wide, this is done to have a clean uniform crack for proper adhesion and to ensure there is enough material to seal and protect the crack through the long cold winters, especially through the freeze/thaw cycle. We then use a premium hot rubber material that we apply with a 3″crack banding applicator. This is the same method that is used on our state highways. ACT Sealcoating is a division of Green Acres Lawn Care & Landscaping Group. We are a fully insured and licensed lawn care and landscape contracting company. We carry general liability, property damage and worker compensation insurance with a $1,000,000 per occurrence limit. 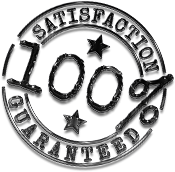 We are licensed by the State of Illinois to provide turf and ornamental pest control. 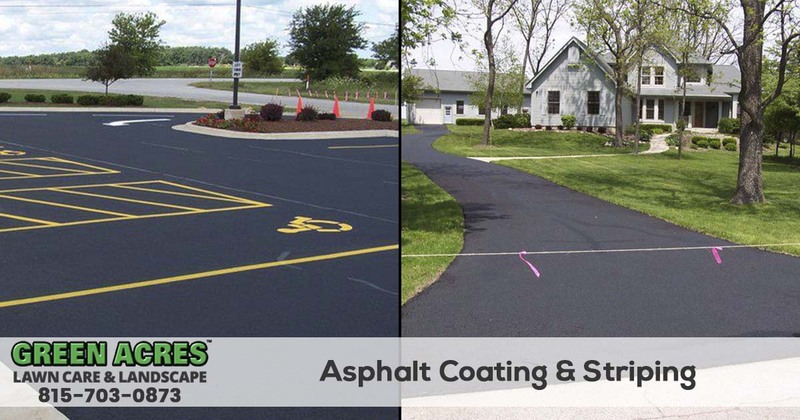 For driveway and parking lot sealcoating, striping, crack repair, or patching services in the Belvidere, Cherry Valley, Dekalb, Genoa, Loves Park, Machesney Park, Marengo, Poplar Grove, Rockford, Rockton, Roscoe, and the Sycamore Illinois area call Asphalt Coating Technologies at 815-978-5314 and request your free quote today.